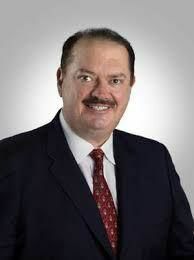 The Cameron County District Attorney’s Office is seeking to modify State Rep. Rene Oliveira’s bond to add multiple conditions, including that he refrain from drinking alcohol. The DA’s office filed the motion Aug. 7. Through a spokeswoman, the office declined to comment on what motivated the filing of the motion, citing an ongoing criminal prosecution. The Brownsville Police Department arrested Oliveira on April 28 and charged him with drunk driving after he left the scene of a car crash. Cameron County Commissioner Alex Dominguez defeated Oliveira during a runoff election the next month, beating out the representative for his long-held seat. Oliveira, who is accused of driving while having a blood alcohol content that was allegedly double the legal limit in Texas, waived arraignment Aug. 6, entering an automatic not guilty plea to the charges. The next day, the DA’s office filed its motion to modify Oliveira’s bond, which is set at $2,500. The motion seeks to prohibit the lawmaker from committing a criminal offense, from visiting bars or clubs, and from fraternizing with anyone who consumes alcohol or controlled substances. The document also would require all vehicles operated by Oliveira to be equipped with ignition locks and states that Oliveira would not be allowed to operate a motor vehicle while under the influence of controlled substances.